One of the most surprising entries on this list. Yes, the small, brown mouse lurking in your pantry is not actually a native species. Though the House Mouse (Mus musculus) has been associated with man for time immemorial the origins of this famed cheese thief actually lie on the Russian steppe, or nearby at least. There are in fact actually four subspecies of House Mouse with the subspecies persisting in Britain, Mus musculus domesticus, originally an inhabitant of open savannahs between the borders of Persia and the former U.S.S.R. Aided and abetted by the spread of man, an increase in arable farming and a number of other factors, the Mouse is thought to have reached British shores alongside the Romans although some experts dispute this. Admittedly, the evidence for this is tenuous at best with House Mice completely absent from Roman writings regarding Britain. The species was however mentioned by King Alfred in ninth century and later by the author of Lambeth Homilies in 1175. As safe it is safe to assume that M.musculus arrived on our shores sometime before this and given their tendency for introducing a whole host of alien beasties the Romans seem like the obvious culprit. Aside from their obvious impact on humans the House Mouse appears to have integrated perfectly into the British Ecosystem occupying a niche of its very own, drawn to humans whereas most creatures actively avoid us. Love them or hate them, the House Mouse is now as British as Fish ‘n’ Chips and comprises one of the most successful colonists our island nation has ever known. Next time you are tempted to “dispose” of one of these unwelcome home intruders, take a minute and spare a thought for this veritable Columbus of the rodent world. The second rodent on our list and arguably the more controversial of the two. The Brown Rat (Rattus norvegicus) is not everyone’s cup of tea. Whatever your thoughts on this rampant rodent however many it seems, think of this species as native. This could not be further from the truth and the Brown Rat first arrived in the UK via Russian trading ships in about 1728. This species most likely originated in Asia, with China, Russia and parts of Japan often stated as its native range. Like the House Mouse, this species thrives in close relation with humans and bolstered by the increasing success of mankind and the prevalence of the filth that comes alongside side us the Brown Rat has spread to almost every corner of the globe. 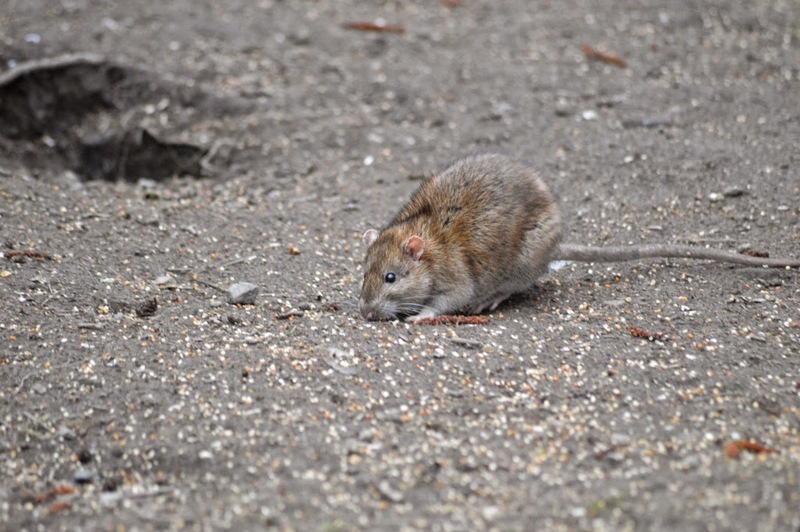 In Britain the Rat has a somewhat chequered history, persecuted and despised due to the contamination of food stores, the spread of disease and their general visage the Brown Rat also has the potential to have a profound impact on native biodiversity, particularly on islands. The impact of these determined rodents is perhaps best felt on smaller islands however and efforts to eradicate the species on a local scale are rather common. As recently as 2013 a £755,000 scheme to remove R.norvegicus from the Scilly Islands was undertaken due to the species profound impact on nesting seabirds. The knock on effects of Rats on the mainland appear less profound however and truthfully, the probability of removing this problematic species is next to nil. Anyways, despite all of this the Brown Rat, like humans is a highly adaptable species, capable of thriving under a range of circumstances and whether we welcome them are not, they are clearly here to stay. One of the most widespread and familiar tree species in the UK the regal looking Sycamore () with its characteristic palmate leaves has long been a fixture of parks, gardens and woodlands. It may surprise many to learn that this well-known tree is actually native to central and southern Europe and is not at all native to our humble little island. Introduced at some point during the Middle Ages the Sycamore can have a potentially negligible impact on areas where it persists, especially on a localised scale. The sheer volume of seeds produced by this species, coupled with its fast growing nature mean it reaches maturity long before some native species and has the potential to shade out and outcompete our native flora. Largely however, the Sycamore has slotted into the British ecosystem without too much trouble and the positive implications of this species at present appear to outweigh the negative. Sycamores are a magnet to Aphids and as such greatly benefit Aphid predators such as Ladybirds. In addition the flowers are also a draw to pollinating insects and both the seeds and leaves are consumed by a whole host of native creatures. The latter most notably by Plumed Prominent, Sycamore and Maple Prominent moths. I personally quite like these trees though anyone who has ever parked a car under one during the summer months may well disagree. Those Sycamore loving Aphids certainly produce a lot of waste! When people talk about non-native deer in the UK many instantly recognise the Asian Muntjac, Sika and Chinese Water Deer. Many however are less clear on the origins of the enigmatic Fallow. It is widely believed that the Normans are responsible for introducing Fallow Deer to the UK during the 11th century. This species, prized for its regal appearance was held in high regard as an ornamental species and released in droves around royal estates for the sport of Britain’s nobility. Specially protected to prevent poaching from commoners the Fallow population soon spread and today’s population stems entirely from these early releases. It has also been suggested that the Roman’s (yes, them again) may have brought Fallow Deer to Britain for culinary purposes but it appears these earlier populations were not self-sustaining and thus quickly died out once introductions ceased. In more recent times fallow are still prized for their appearance and escapes from deer parks are not unheard of, adding to the already substantial population roaming our countryside. Like other deer species the Fallows preference for grazing tree shoots and agricultural crops regularly puts them in conflict with farmers and landowners who highlight their negative economic impact. Conversely however many areas harbouring this species gain a great deal of income from deer stalking and the sale of venison. Whatever thoughts on this species it is clear that the Fallow Deer is here to stay and I for one welcome the addition of this delightfully spotted ungulate to Britain’s ecological community, providing of course they are managed correctly. Believe or not, Britain is home to only one native species of lagomorph, the Mountain Hare, a species now resigned to the most inaccessible reaches of our country. Like the Rabbit, the familiar Brown Hare is actually a colonist from continental Europe, introduced during the Iron Age as a food source for local communities. In current times the Brown Hare is widespread throughout lowland habitats in England, Wales and some of Scotland and more recently has been introduced at sites on Orkney, the Isle of Man and in Northern Ireland. Numbering in at some four million individuals during the 1800’s the once common hare now stands at risk from human persecution. Indeed the population of this charismatic farmland denizen has crashed by 80% in the last 100 years alone and in some areas the species has been declared locally extinct. Despite this however the Brown Hare remains the only quarry species that does not have a close season and can be shot year round. This sustained level of legal shooting combined with other factors such as agricultural intensification, the loss of hay meadows and illegal coursing have left the Brown Hare teetering on the edge of an abyss in some parts of Britain and it is clear that something must be done to combat this decline before it is too late. Some would argue that as a non-native species, we should not protect the Hare but, in my opinion, this species has slotted seamlessly into the native ecosystem and thus should be afforded the same level of protection as other, non-native, yet celebrated species such as the Little Owl. Only time will tell if the Brown Hare is set to remain a feature of the British countryside. 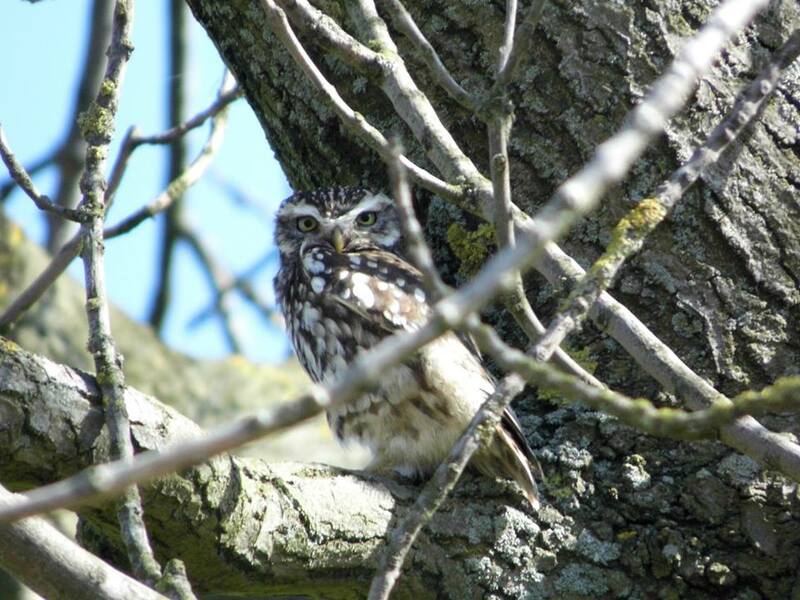 Mentioned above, the Little Owl (Athena noctura) is one that often catches out unsuspecting members of the general public, this charismatic petite species has long been a feature of lowland areas in England and Wales but is in fact, not native to the UK. Stemming entirely from releases during the 1800’s British Little Owls gained their first toe hold in 1874 when Edmund -Meade Waldo released forty birds to Stonewall Park, Kent. These initial pairs first bred in 1879 and aided and abetted by further introductions, notably by Lord Lilford of Oundle, Northamptonshire, the Little Owl quickly began its successful colonisation of the British Isles. By 1958 the species had reached Scotland though only 50 pairs colonised and the majority of these soon died out. In the current day the species remains a familiar and much loved sight in many areas of the UK though research shows worrying declines over the past few decades. Indeed the British population of A.noctura has declined by no less than 65% over the past 25 years alone and the decline has only intensified in recent years though the reasons for this remain largely unclear as a result of our poor knowledge of Little Owls on our shores. Now schemes such as the UK Little Owl Project have been set up to better understand this species and may well go some way to combatting the worrying trends shown over recent years.